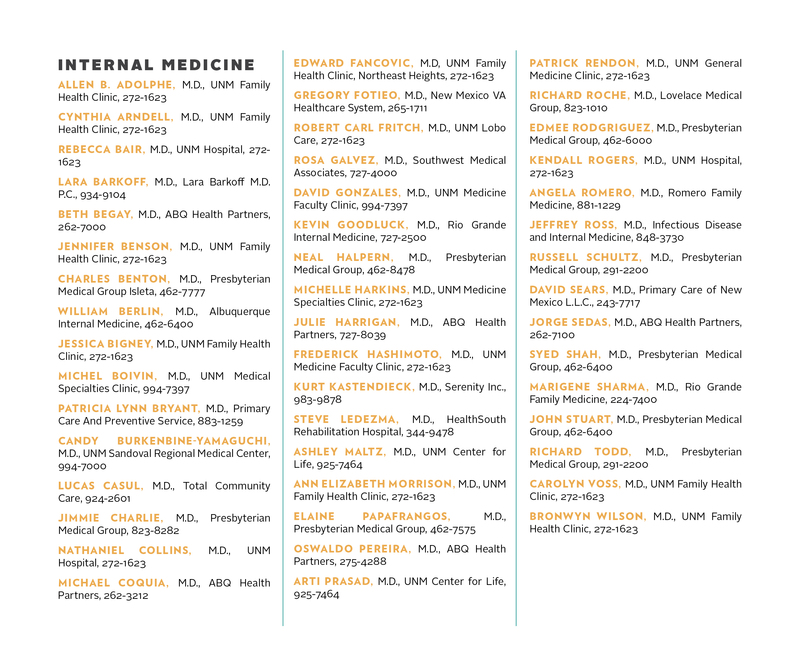 In the March 2015 Top Docs feature, whereas we included the top three vote-getters in the Internal Medicine category, we neglected to include the list of Internal Medicine doctors who received at least one vote from their peers. We’ve listed them here for your reference. We regret the error.